This is a one on one student assessment for the Saskatchewan grade 2 curriculum. It covers the outcomes P2.1 and P2.2. 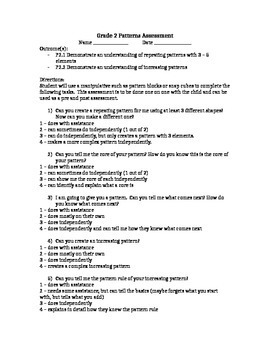 For the assessment you will need some type of manipulative such as pattern blocks or snap cubes.